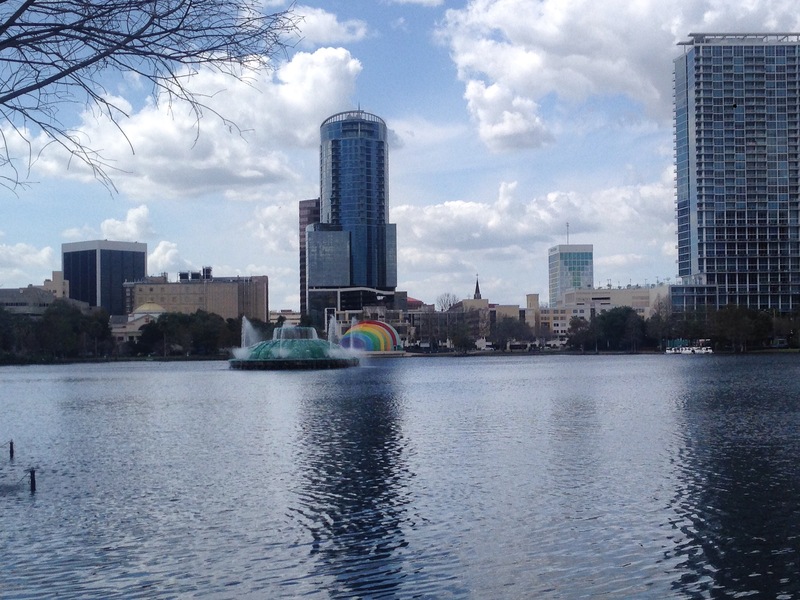 The heart of downtown Orlando- Lake Eola. Everytime I go to Orlando I find something new to love. It is an ever-evolving city and one that has been dear to my heart since 1990 when I participated in the Walt Disney World College Program. I often wonder why I ever left. Fortunately, I have a very good girlfriend who still lives there and each year on the first Saturday of March, she and her husband host a huge crawfish boil. That is all the excuse I’ll ever need to leave the bi-polar spring weather of Northwest Arkansas and enjoy the constant sunshine of Central Florida. There are at least two things I always do when I’m there. The first is visit downtown and the Lake Eola area; the second is go to Walt Disney’s World’s EPCOT Center. 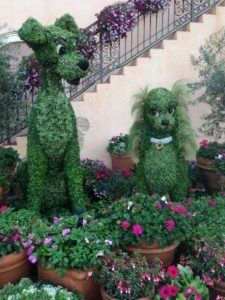 You can read about previous dog-friendly adventures in Orlando in The City Beautiful or if you’re interested in a WDW family vacation that includes the dog, you can check out my guest post for the Mama’s at NWAMotherlode. 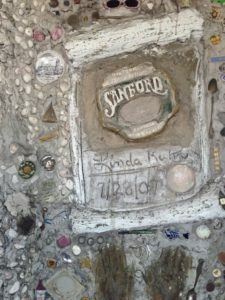 I have new things to tell you about the aforementioned places, as well as my discovery of the brick-lined streets of the very dog-friendly downtown Sanford. Downtown Orlando covers a pretty broad expanse of space. However, Lake Eola and the surrounding area is where I’d choose to work and play if I lived there; there is always something happening. Check out Movieola on Friday, April 28th on the East Lawn. They’re showing The Secret Life of Pets. 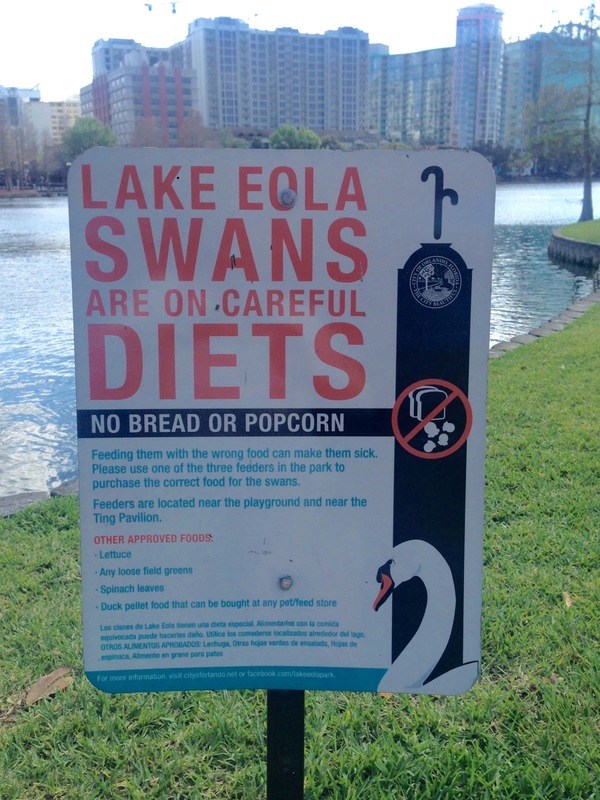 I don’t know if I can pick just one favorite thing about Lake Eola but if I were to make a list, the swans and how much the city does to care for and protect them would be at the top. There are signs everywhere asking people not to feed them and in the spring, orange fencing protects each nest. I saw at least five swans, including a black one, nesting inside these protected areas. I really wish I was going to be there to see all the babies! The other thing topping my list is pedestrian-only traffic- no bicycles or skaters allowed- and that makes strolling the .9 mile sidewalk around the lake a pleasure. There are a couple of restaurants located on the path and both, Spice Modern Steakhouse (ask to see the sushi menu) and Relax, are dog-friendly. This trip we opted for lunch at Relax Grill. Featuring mediterranean cuisine and an expansive list of cocktails, it’s a great place to quench your thirst and people watch. Dog guests are even brought their own bowls. I can’t say I whole-heartedly recommend the food but their Bloody Mary’s are great and on a pretty Saturday or Sunday, there is almost always a wait. After lunch we ventured away from Lake Eola where we discovered Eola Wine Company. No lake view, but with a fenced sidewalk patio, it’s a great spot to try a new vintage or an entire flight while you take in the city. Even on a Monday afternoon just after opening, this place had a few guests and one small dog taking up space. I’m guessing it’s the perfect happy hour location and certainly beats rush hour traffic. The last (new to me) find was Woof Gang Bakery and Grooming in Thorton Park. Offering gourmet treats, canine couture, pet themed gifts, and doggie fro-yo, you’re sure to find something for the discerning pet or pet parent in your life. Have a seat on the front porch of this cottage while you enjoy your treats or drop your pooch for a bath before grabbing lunch. Obviously, there’s a lot of sitting, drinking, and people watching, and maybe THAT’S my favorite thing about the Lake Eola area. Whether on a blanket in the grass or at a bar overlooking the fountain, it’s prime real estate for lounging and almost every patio you see has a dog on it. If you’d like to get out of downtown, then check out Baldwin Park for their family and pet friendly sidewalk festival every first Friday of the month. You’ll be able to browse through the booths of over 70 local artisans, as well as small businesses and non-profits. Welcome Spring Fun, Food and Flowers! EPCOT main entrance. Unless you’re Pluto, EPCOT isn’t dog-friendly, though I did see more “service dogs” this year than I’ve ever seen in the past. Since Walt Disney World is supposed to be the happiest place on earth, I’ll stay off my soapbox, but suffice it to say…I’m pretty sure some of you are taking advantage of the system and you should read my 5 dos and don’ts of dog travel and leave your pup at Best Friends. Guest Services is on Twitter and their responses to your tweets (even if you’re just teasing them) are pretty fast! Back in the old days, if guests had a question like “How many lights are on the Electric Light Parade?” there existed what I called the ‘Rat Phone’. Because the proper answer is NOT “I don’t know,” regardless of how busy you are, there existed a phone with an operator on the other end. Any cast member- that’s a Disney employee – could pick up that phone and in minutes come back with an answer to just about any question a guest could ask. The very Disney answer to that question is “That depends upon where on the parade route you are seated,” followed by the explanation that though the parade does start at three, if you are sitting toward the end of the route, you will not see the first of the parade until later. Now guests can just tweet questions and problems directly to a team of cast members, many of which are former College Program Alumni, who are ready and waiting to help you. 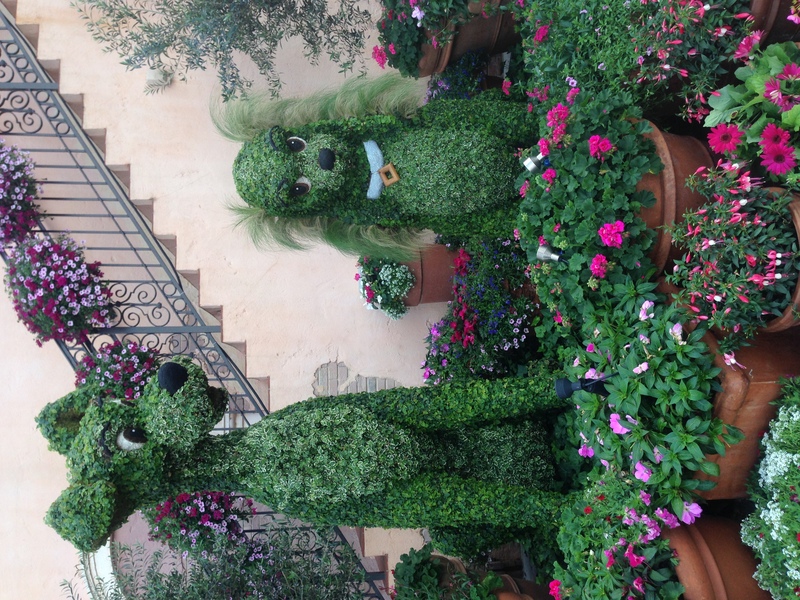 The 2017 Flower and Garden Festival runs through May 29th and if you’re headed that direction drop me a line. I’d be happy to point (using two fingers) you in the direction of my favorite drinks, I mean spots. I even know exactly where to charge your phone if it dies. If you’re an Orlando travel pro, you might already be avoiding the chaos of Orlando International and flying into Sanford (SFB). I highly recommend it. With bike week and spring break both starting, I was through TSA and at the bar in less than 10 minutes on my return flight. But it’s not the airport that is my new discovery; I’ve been flying there for several years. It’s the small downtown riverwalk area – all located within a two-block radius of Magnolia Square – that I’ve been missing. Be sure to visit the brick-lined streets of this quaint, dog-friendly, waterfront town and enjoy a slower side of tourism in Central Florida. As we roamed in search of a restaurant we wanted to try, I saw lots of dogs dining with their folks. 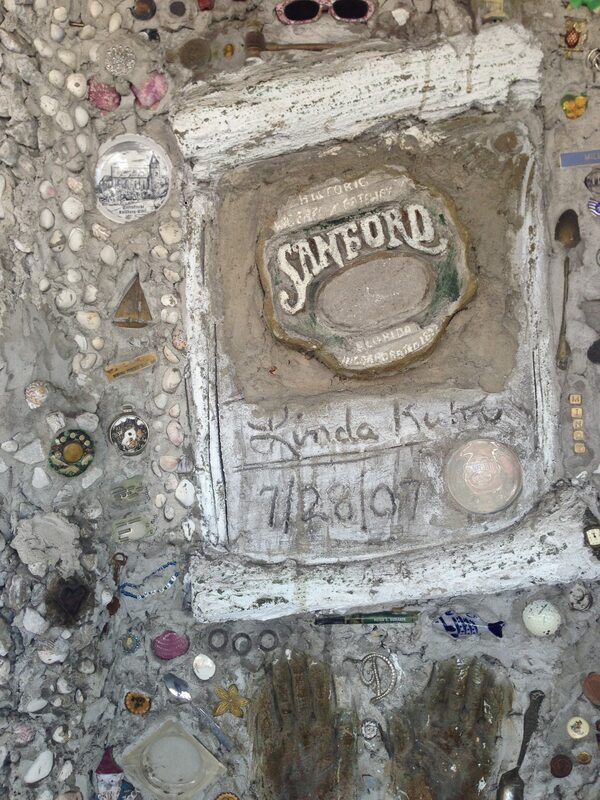 All of them had water bowls that appeared to have been provided by the establishments. Amid conversation and distractions, I think we passed our breakfast destination twice. A little bigger than a hole in the wall with accommodations for I’m guessing 30-ish people, we finally found The Tennessee Truffle. Please get some cafe chairs for outside. Put mine and Henri’s names on the back of one and save us a spot. And some bacon. We’d like to have all the bacon. Y’all! This place was SO good. From the lemon-verbena sweet iced tea to the homemade biscuits and house-cured bacon, if I weren’t too old to use ‘fleek’ in conversation, I’d tell you that they were. Chef Nat Russell brings his southern cuisine and charm straight from Memphis and was behind the walk-up counter taking orders. Old church pews provide some of the seating at chalkboard tables and Memphis-inspired artwork hangs on the brick walls. I couldn’t resist trying the BLT and added a fried egg at Chef Nat’s suggestion. My girlfriend had the salmon with a side of perfectly cooked grits that came dressed with sorghum and crushed pecans. Like most southern girls, I’ve always drowned mine in butter, but I promise sorghum will be making an appearance on my table the next time I make grits. Tennessee Truffle is fairly new to the Sanford food scene but I’m predicting they’ll be around for a bit. Fingers crossed for a dog-friendly patio expansion! With a very full belly, some sweet tea to go and a little time before my flight, we decided to wander. Be sure to visit, Arthur, the Frenchie, who guards the gallery at Jeanine Taylor Folk Art. He’s super-friendly and will happily accept your scratchies. Stroll through the gallery to discover everything from a mermaid riding a marlin to a wooly sheep footstool. When you leave be sure to take notice of the exterior walls which are an extension of the gallery. You’ll also discover special events in Sanford, like the Sanford Pints and Paws Craft Beer Festival, which we missed by one day, and a farmer’s market every Saturday from 10 a.m.- 3 p.m. Those are my kind of hours! I’ll be back in Orlando next year, hopefully with Henri in tow. 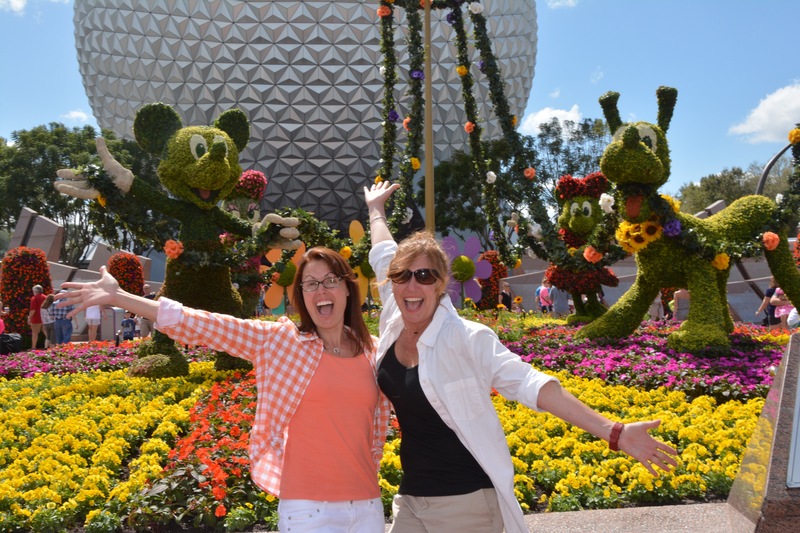 We’ve already planned a girl’s day at EPCOT and we’ll be the group of 40-something women in princess costumes. In the meantime, rest assured that I’ve got my eye on things; I can’t wait to see what pops up in and around The City Beautiful between now and then. Denise Holmes is a professional pet trainer, known for her spunky personality and training concept Love. Trust. Teach. Outgoing and full of Southern charm, Denise has an innate ability to find the fun, and fun people, in most any situation.